26 february L. Iess Overview of the MORE experiment (file ppt). 26 february V. Dehant The internal structure, tides and rotational state of Mercury: a tutorial (1) (file ppt). 26 february V. Dehant Mercury libration (file mpg). 26 february V. Dehant Libration experiment (file mpg). 26 february V. Dehant J2 orbit (file mpg). 26 february V. Dehant Gravity on target (file mpg). 26 february T. Van Hoolst The internal structure, tides and rotational state of Mercury: a tutorial (2) (file pdf). 26 february A. Lemaitre The internal structure, tides and rotational state of Mercury: a tutorial (3) (file ppt). 26 february A. Milani et all Geodesy and relativity with BepiColombo: numerical simulation of MORE (file pdf). 26 february N. Ashby et all Covariance analysis for the relativity experiment (file ppt). 26 february P. Tortora The measurements of the obliquity and physical librations with BepiColombo (file pdf). 26 february V. Iafolla The ISA accelerometer (file ppt). 27 february L. Iess Review of the requirements for the MORE experiment (file ppt). 27 february P. Pablos MORE requirements seen from ESA (file ppt). 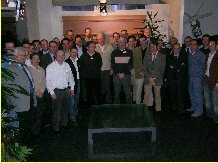 27 february G. Boscagli An onboard calibration system for the range delay of the KAT (file ppt). 27 february ALCATEL ALENIA SPACE EGSE for ground tests and range delay calibrations (file ppt). J. S. Border Proposed capabilities of the DNS in support of the MORE experiment (file pdf). 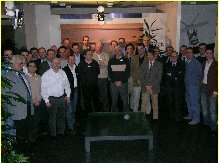 M. Mercolino ESA ground antennas and their compatibility with the MORE experiment (file ppt). 27 february E. Flamini SIMBIO-SYS: the imaging system of BepiColombo (file ppt). 27 february ASTRIUM The spacecraft design and the radio science experiment (file ppt).